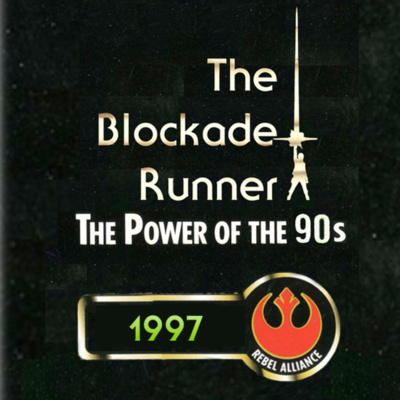 The Blockade Runner is a podcast, blog, and YouTube channel featuring Star Wars discussion and news from enthusiastic fans and friends. 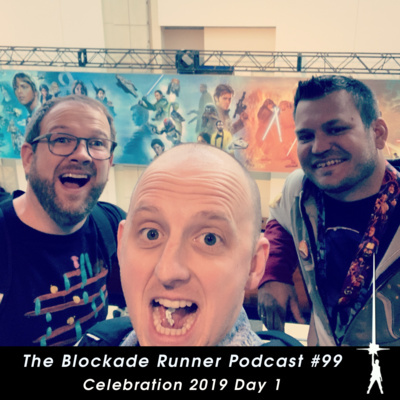 John, Chris, Ryan, and Dan once again convene in our spacious Air BNB studio to discuss highlights from Saturday and Sunday at Celebration 2019. 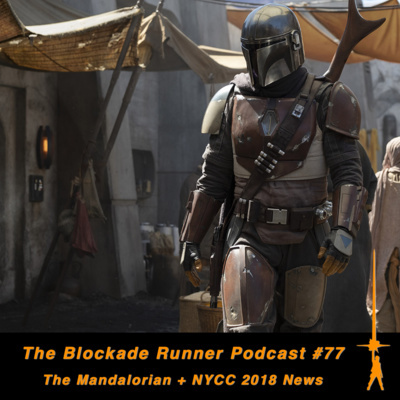 We talk books, comics, Star Wars Archives, and most importantly, the incredible Mandalorian panel. 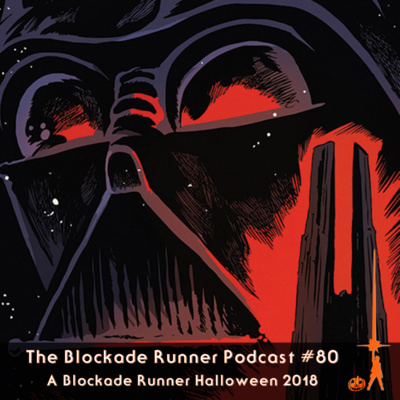 Show Links: Email = blockaderunnerpodcast@gmail.com Twitter Instagram Anchor YouTube New Blockade Runner Podcast Shirt Designs! 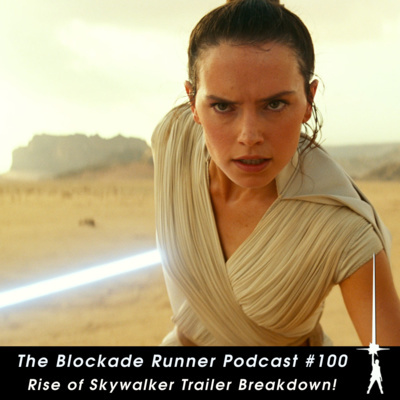 We celebrate 100 episodes at Celebration by breaking down the Rise of Skywalkertrailer! 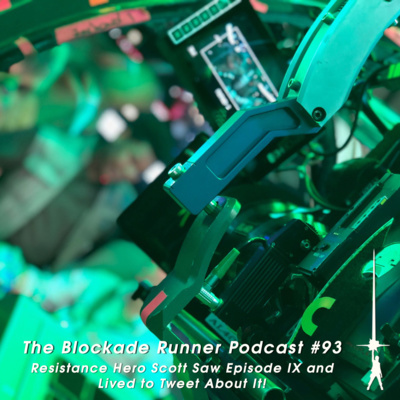 Highlights include Ryan being obsessed with Palpatine cloning himself on Kamino, Ian McDiarmid playing Darth Maul in the prequels or something, and whether or not Rey is trying to slice Kylo's TIE in half or take it for a ride. 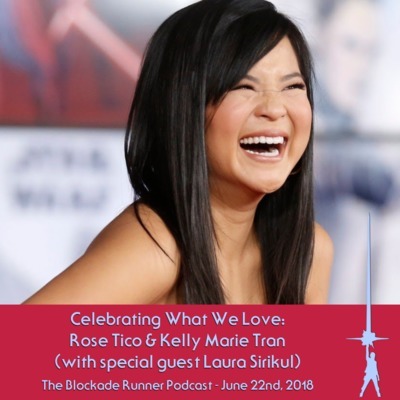 Having done 100 episodes over the past almost four years has been a lot of fun and if you've followed us at all or ever listened, thank you so much! 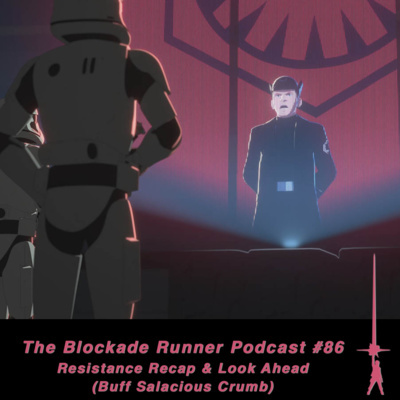 Show Links: Email = blockaderunnerpodcast@gmail.com Twitter Instagram Anchor YouTube New Blockade Runner Podcast Shirt Designs! 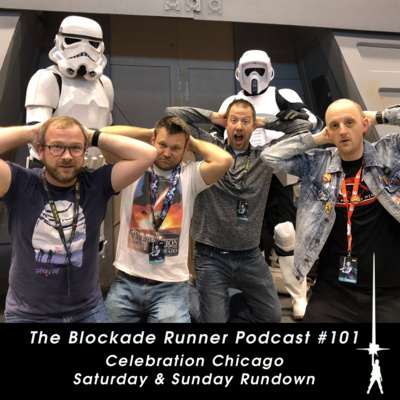 In this brief episode, Dan, Kevin, and John discuss their experiences at Star Wars Celebration Chicago day one. 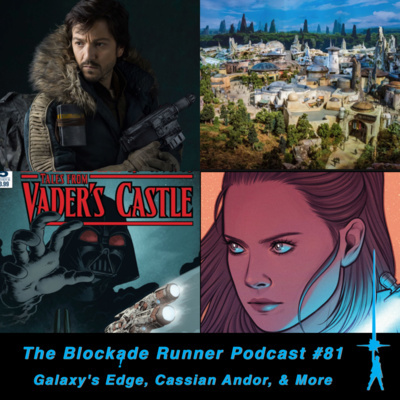 Show Links: Email = blockaderunnerpodcast@gmail.com Twitter Instagram Anchor YouTube New Blockade Runner Podcast Shirt Designs! 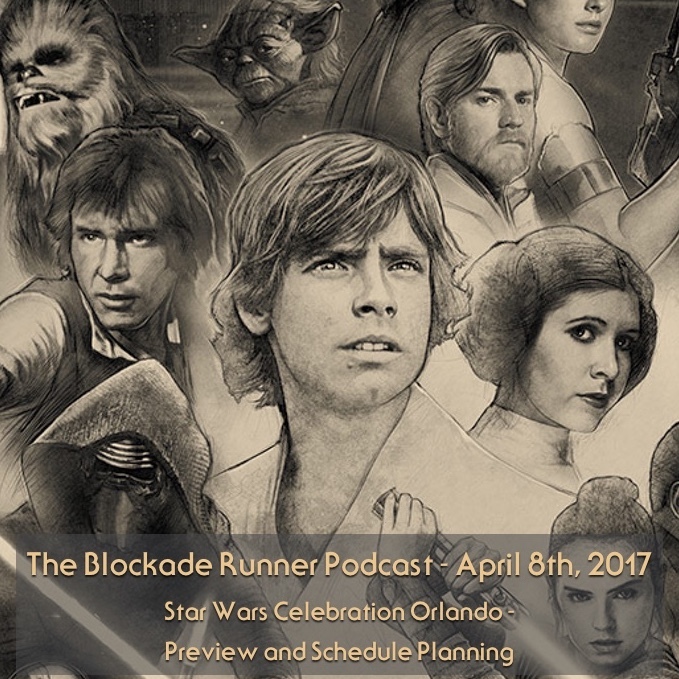 Dan and Chris join Ryan and John to preview Star Wars Celebration Chicago. 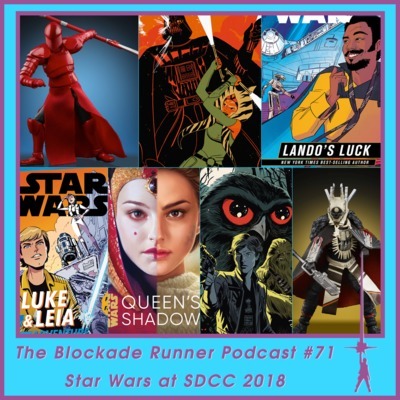 We share our picks for panels we hope to attend day by day (use chapter links to jump to specific days) and a few favorite memories from Celebrations past. 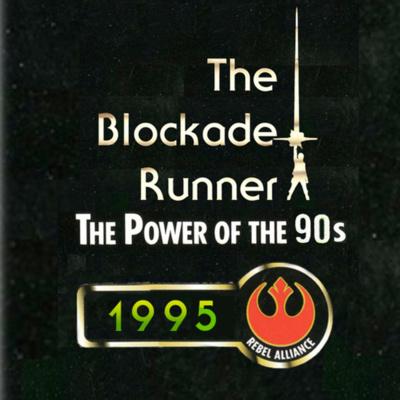 Episode Links: Blast Points Episode 164 – Steve Sansweet and the Amazing Story of Celebration 1 The Forcecast Special Report: 20 Years Of Celebration Show Links: Email = blockaderunnerpodcast@gmail.com Twitter Instagram Anchor YouTube New Blockade Runner Podcast Shirt Designs! 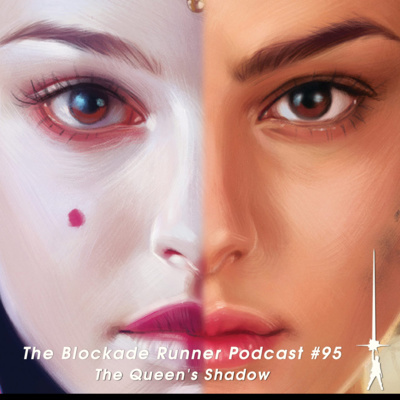 This week's episode features an interview with Alex Kane, author of the upcoming book Star Wars: Knights of the Old Republic. 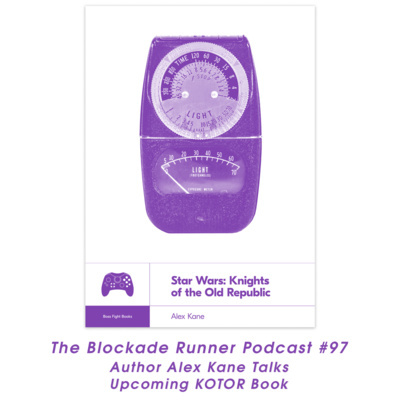 Ryan talks to Alex about KOTOR, the book, and Alex's other writing on games in the show's first segment. 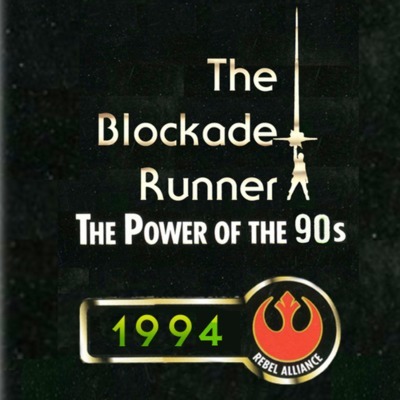 John joins for the second half of the show to talk with Ryan about how much he enjoyed the book (even though he's never played the game), the impact of KOTOR on Star Wars culture, and the potential influence of the game on rumored upcoming films or other media set in the Old Republic era. Star Wars: Knights of the Old Republicreleases on April 9th and you can pre-order your copy here. 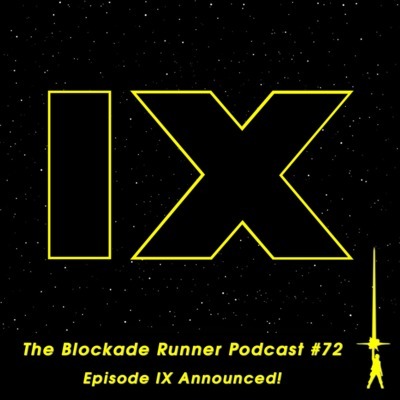 Episode Links: Star Wars: Knights of the Old Republicby Alex Kane Alex Kane on Twitter RUMOR: BENIOFF AND WEISS’ FIRST STAR WARS FILM SET WELL BEFORE THE SKYWALKERS TO BEGIN FILMING THIS FALL Show Links: Email = blockaderunnerpodcast@gmail.com Twitter Instagram Anchor YouTube New Blockade Runner Podcast Shirt Designs! 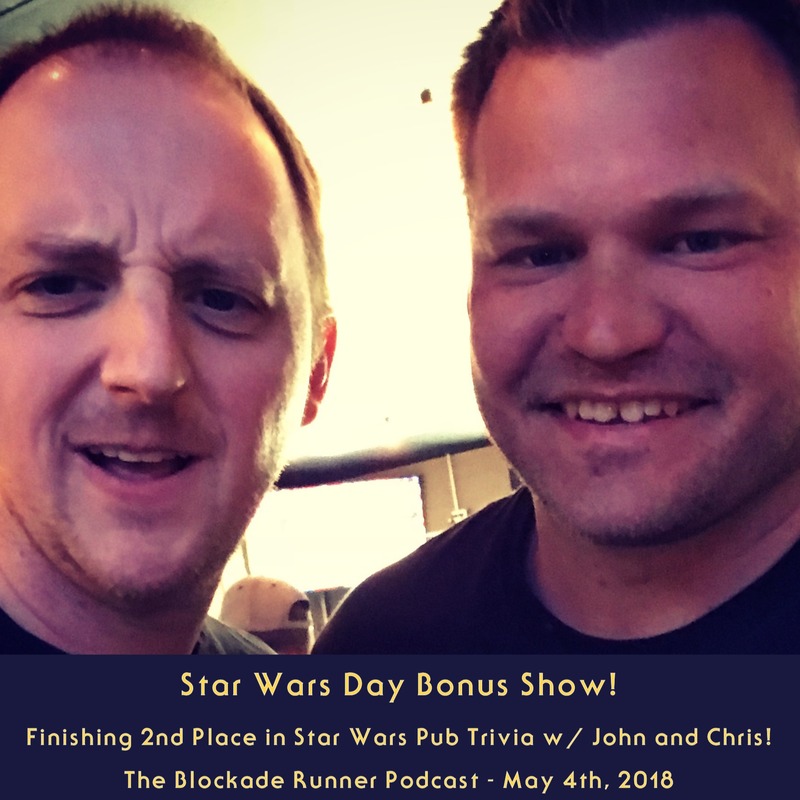 May the 4th Bonus Show - Finishing 2nd Place in Pub Trivia! 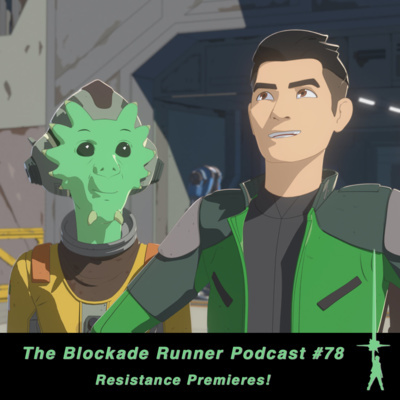 New Animated Series Resistance Announced! 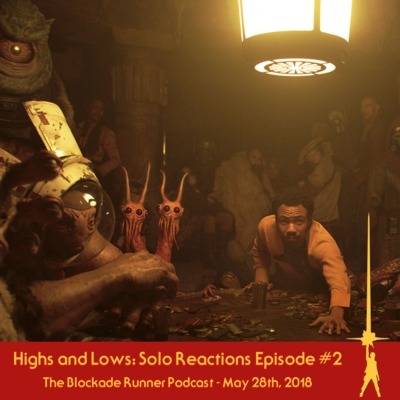 Ryan and John discuss our favorite moments from the "Crew" and "Risk" Solo tv spots. 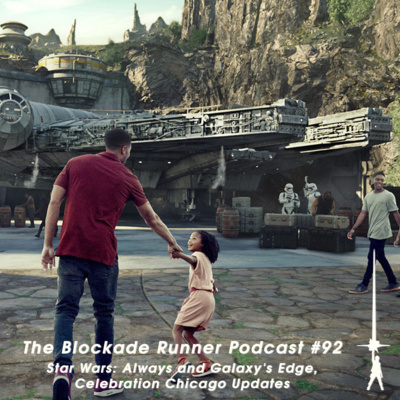 After that, we chronicle our slow-to-start but strong-to-finish #WookieWeekend and the Solo 3.75" toys we were able to grab. 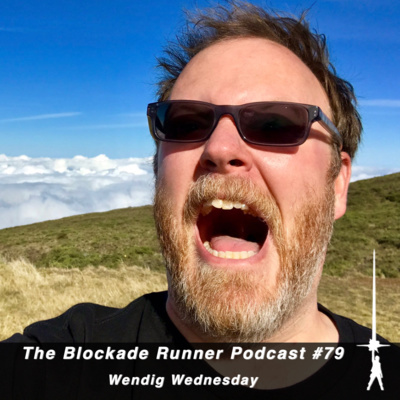 Finally, we chat a bit about Denny's and Last Shot. 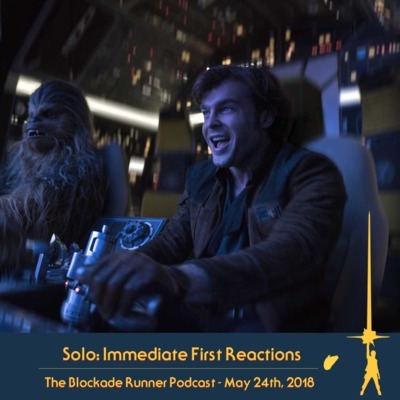 Join us if you're stoked for Solo! 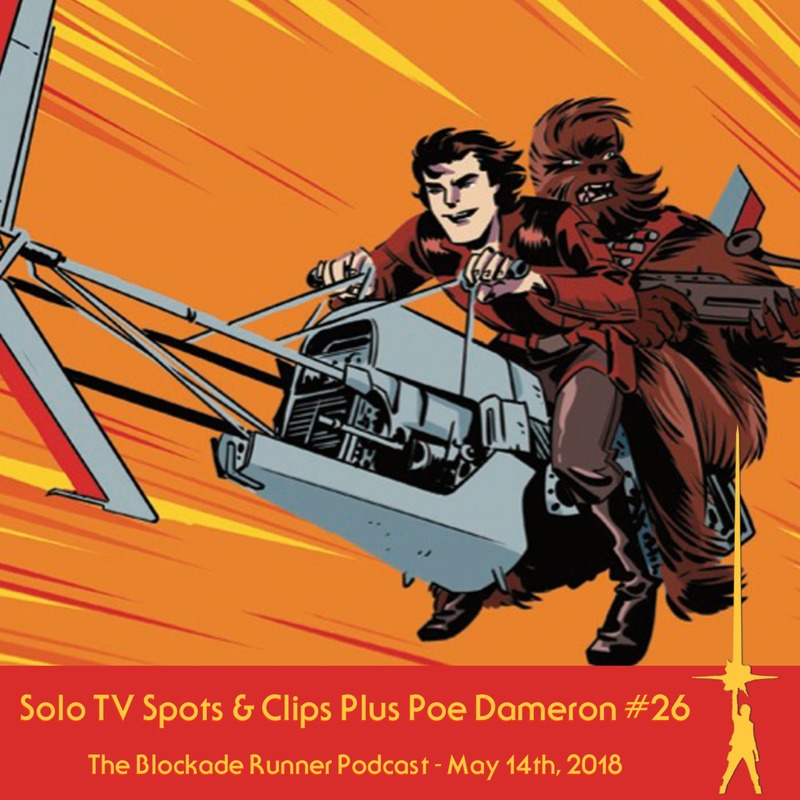 Show Notes: This episode features an interview I did with Han Solo fan filmmaker Matt Mickelson back in September of 2016. 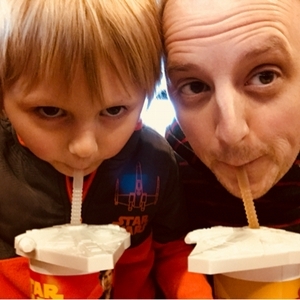 Matt has been working on a Han Solo movie with his daughters and posting episodes online over the past few years, and he's preparing to release an updated, complete cut soon. 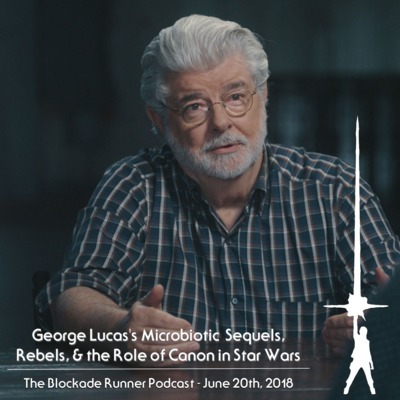 We talked a bit about making Star Wars fan films, sharing Star Wars with his daughters, Han Solo in The Force Awakens, and a few other Star Wars-related topics. Unfortunately we thought the audio for the interview was lost due to a technical malfunction, but Matt recently sent me a salvaged file. I sound pretty rough (but listenable), but Matt sounds great and he's the one with interesting commentary this time around anyway. 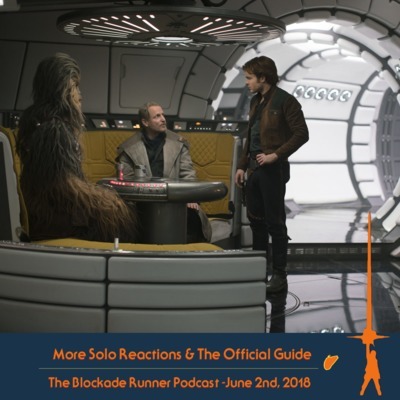 The interview isn't exactly current (we're looking forward to Rouge One, for instance), but most of the topics aren't super time-sensitive and now's a great time to check out our discussion since Matt's Han Solo film is set to release online soon. Episode VIII Title The Last Jedi Revealed! 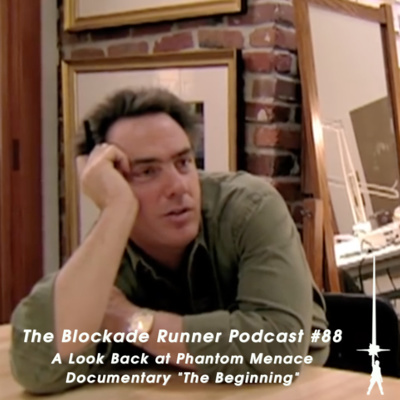 The Blockade Runner Episode 11 - The Phantom Menace 17th Anniversary Celebration! 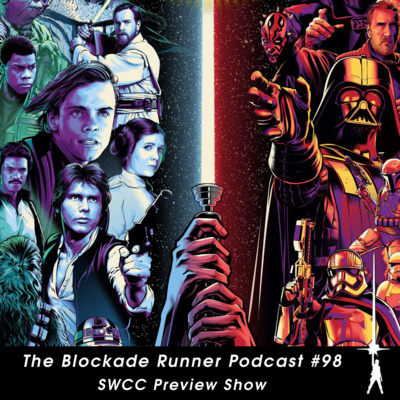 Lindsey and Ryan report on all the Star Wars happenings from last weekend's C2E2 2016. 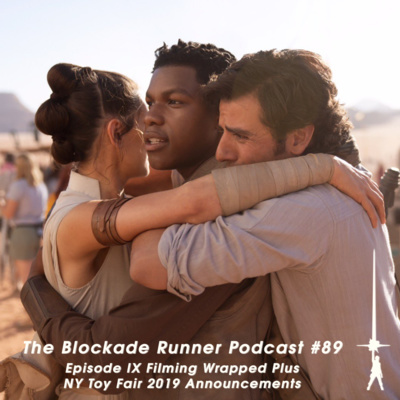 We discuss the big announcements from the show, the Star Wars merch and autographs they grabbed, and one very compelling Poe Dameron cosplayer. 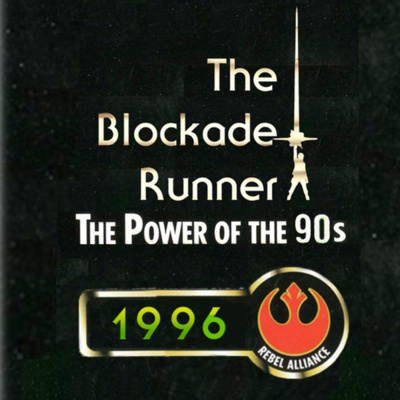 Intro and outro music for The Blockade Runner is “Hedonism” by Ash. 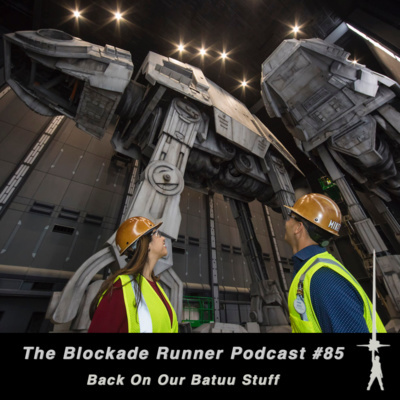 Ryan and John catch up on recent Star War news including the Episode VIII delay, new Lego Star Wars games and shows, the Star Wars Headspace album, a newly announced BB-8 toy, and the unfortunate passing of Jocasta Nu actress Alena McGrath. 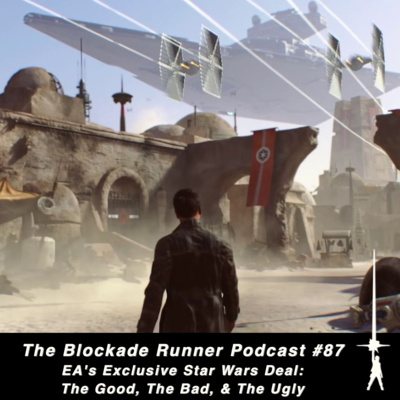 In the second half of the show Ryan discusses his history with Star Wars.Clips from GTA's "Help Me!" 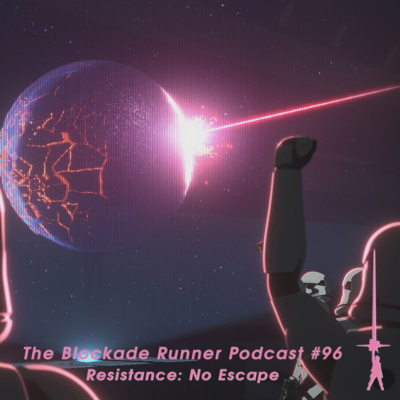 and Rick Rubin's "NR-G7" from the Star Wars Headspace album are featured in this episode. 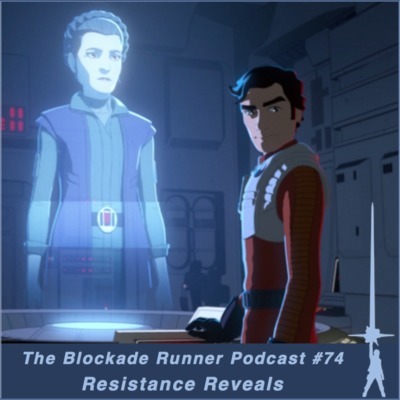 Ryan, Dan, John, and first time Blockade Runner Lindsey get together to discuss the new Rebels trailer, Rey's heritage and how much was originally set to be revealed about her in TFA, and more. 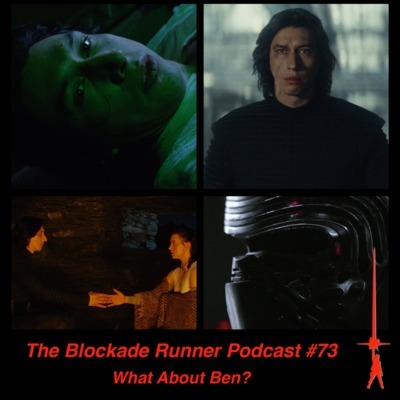 Check out the links below for links to articles discussed on the show.Links:Did The Force Awakens Originally Reveal Rey's Heritage? 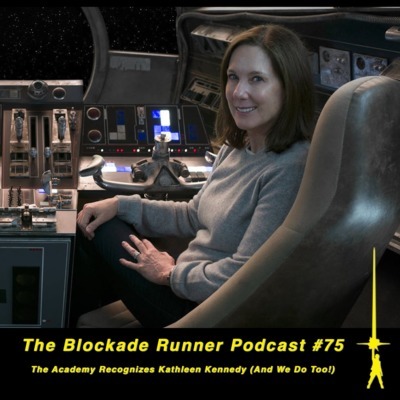 Show Notes:In this episode of The Blockade Runner, Ryan, Dan, Kevin, and John discuss our thoughts on The Force Awakens. 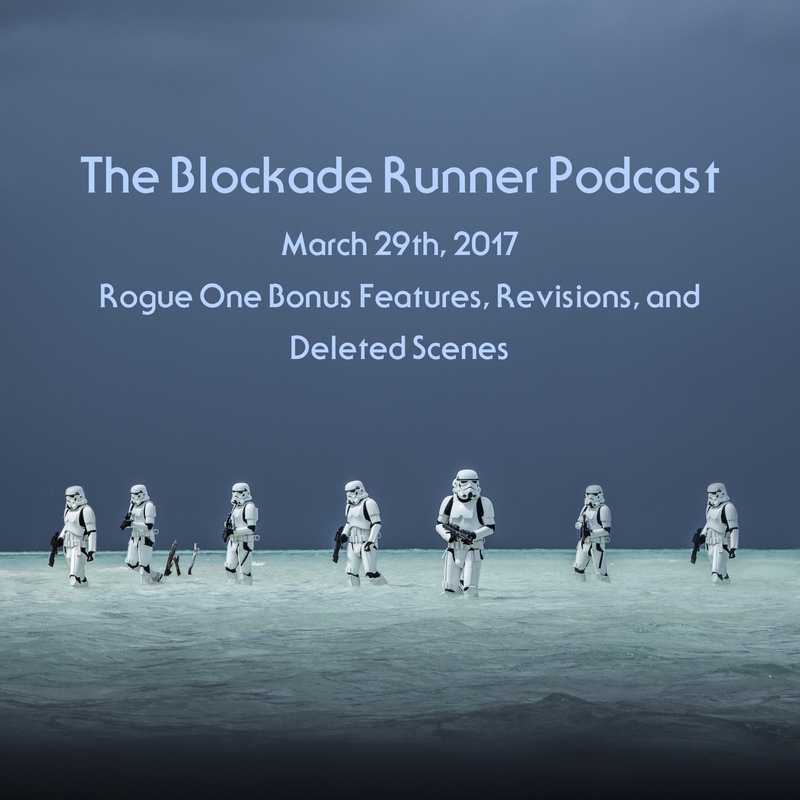 We've all seen the film and we go into spoiler-heavy detail, so please be sure to see the film before listening. 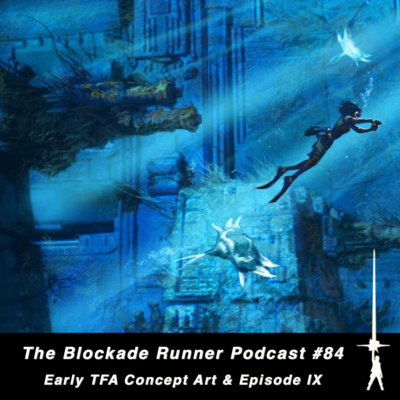 We chat about our reactions, criticism, theories, and favorite moments for over two hours, but there's much more to discuss going forward so be sure to stay tuned for more podcasts, blog posts, and videos from The Blockade Runner! 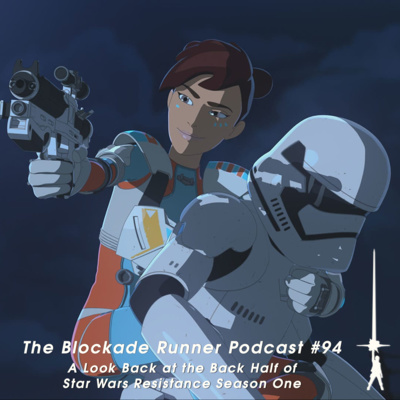 The Blockade Runner Podcast Episode 2 - International Trailer Reactions, New Posters, and More!